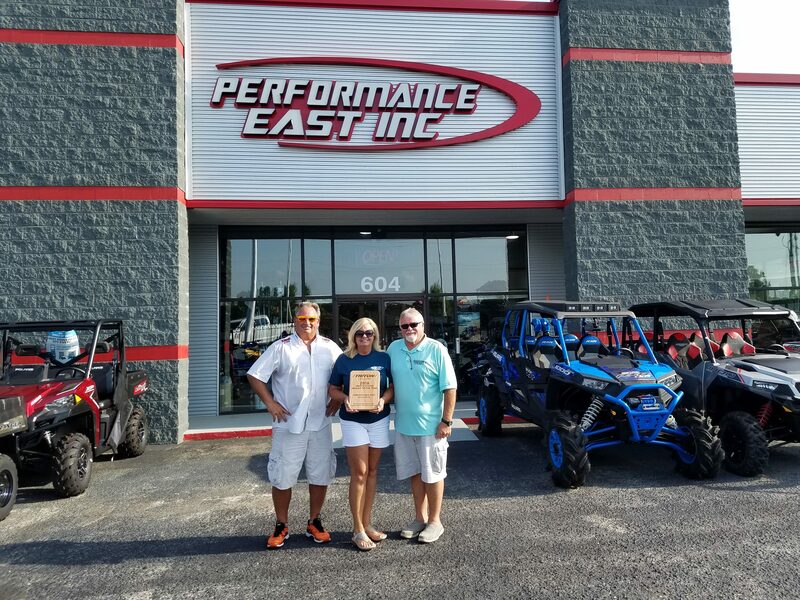 We are pleased to recognize Performance East of Goldsboro, North Carolina, as Triton Trailers’ 2016 United States Dealer of the Year. Founded in 1994 by Neil and Mary Weeks, Performance East is a family-run industry leader which recently expanded to a 22,000 sq. ft. facility. Triton Trailers are displayed in front of the store and are an integral part of the dealership’s multi-line power sports and marine assortment. From all of us at Triton Southeast and Triton Trailers, thank you and congratulations to Neil and Mary Weeks, and sons Travis and Stuart, for Performance East’s support of Triton Trailers and for 2016 United States Dealer of the Year honors.